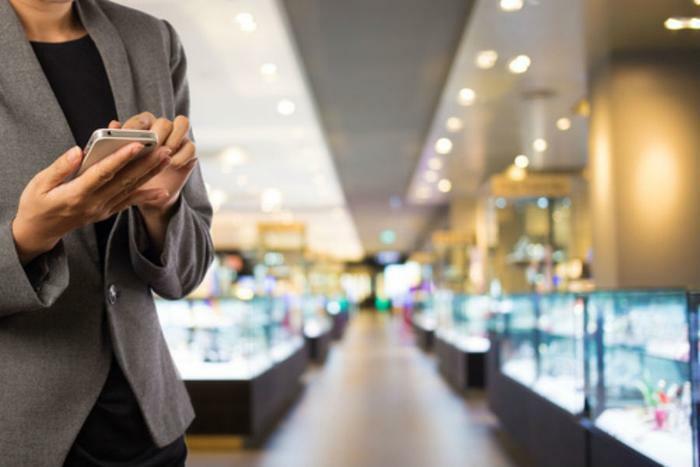 It’s not uncommon to see shoppers at a grocery store or mall on their phones, either trying to stay connected or complete some other errand. But can this kind of multitasking make you a worse shopper? A study from Concordia University and the BVA Group suggests that might be the case. Researchers A. Selin Atalay and Etienne Bressoud found that shoppers can have worse outcomes when given a shopping task depending on the additional tasks they try to complete at the same time. They say that consumers with implementational, or “how,” mindsets can successfully complete multiple tasks. However, consumers with deliberative, or “why,” mindsets can be distracted and are generally less successful when given a shopping task. “[The results] suggest that shoppers in how-mindsets can multitask without any negative impact on shopping task performance. However, consumers in a why (deliberation) mindset are negatively affected by multitasking and this effect is mediated by task-induced stress,” they said. So, what exactly is the difference between an implementational mindset and a deliberative mindset? Basically, someone with an implementational (how) mindset is focused on how to accomplish a stated goal, such as the steps they’ll need to take to achieve it. On the other hand, a person in a deliberative (why) mindset is more concerned with weighing the pros and cons of a stated goal. The researchers posit that a deliberative mindset can be much more stressful on consumers because it requires more cognitive resources. As a result, shoppers can become distracted and find it harder to stay on task. The researchers tested their theory by creating shopping scenarios wherein participants were asked to complete a shopping task while multitasking. Participants were asked to buy low-calorie snacks for a small party, keeping in mind that they needed at least three different snacks that totaled less than 500 calories and weren’t that expensive. In addition to this task, some participants were asked to listen to a voicemail from a friend. While the participants went about their shopping task, the researchers carefully recorded what kind of mindset each person was in. They found that participants who were in a “how” mindset were generally more focused on the task and were minimally affected by multitasking. Participants who were in a “why” mindset were more likely to make faster and less careful decisions and were more distracted by multitasking. The researchers suggest that retailers find ways to reduce the stress of multitasking for deliberative consumers to give them more successful shopping experiences. “Results demonstrate that interventions to reduce the stress level eliminates the negative impact of multitasking on consumers in why-mindsets. Taken together, the results suggest that interventions to channel consumers to an implementation mindset or strategies to alleviate the stress levels can help consumers avoid the negative impact of multitasking on shopping decisions,” they concluded. The full study has been published in the Journal of Retailing.